Last December, the Nuffield Council on Bioethics hosted a workshop, bringing together experts from a wide range of disciplines to explore the ethical challenges of conducting research in global health emergencies. One of the key issues that emerged from that debate (pdf) was the way in which, in the context of a humanitarian emergency, the traditional divide between ‘research’ and ‘practice’ becomes harder and harder to maintain – and indeed may become a barrier to an ethical response. From the perspectives both of those affected by the emergency, and also of frontline workers, ‘research’ activities cannot simply be isolated from other activities that form part of emergency response, including humanitarian initiatives, care services, and public health measures. When there is no evidence-based treatment to offer in response to disease associated with high mortality, for example, but sufficient evidence to justify offering experimental interventions in the context of research, such an offer will in practice be understood as experimental treatment – not only by participants/patients but also by those who are providing it. In such cases, people do not agree to take part in the research in order to help generate generalizable knowledge for future good – they agree (and for very good reason) to take part in the research in the hope of personal clinical gain. At the same time, there is surely an ethical imperative to seek to learn as much as possible, as systematically as possible, about the effects of such unproven interventions, both in order to provide the best possible care for those receiving them now, and for future benefit. Speakers at the Oxford Global Health Bioethics conference in July 2017 highlighted these difficulties vividly, often in the context of the recent Ebola epidemic. ElyséeNouvet and John Pringle from the Humanitarian Health Ethics Group , in particular, drew on their ongoing research in Sierra Leone to present the experiences of those directly involved in research during the epidemic. The message that emerged very powerfully from their presentations was that of research as a ‘humanitarian act’ as well as a scientific endeavour. In the experience of their informants, research and care inevitably became blurred within a global health emergency where all interventions required rapid adaptation and innovation. The concept of research that may ‘offer the possibility of clinical benefit’ is well established. Yet, despite this recognition, those working within ‘research’ and ‘treatment’ environments operate in distinct regulatory and ethical domains, not least in order to emphasise the differential focus on ‘learning for the future’ as opposed to care of the individual patient. Attempts to bring these domains together to respond as effectively and humanely as possible in situations where uncertainty reigns, may lead to accusations of ‘cutting corners’ – a shorthand for allegations of unethical action. And indeed, in responding to the magnitude of need and sense of desperation engendered by emergencies, the risks of unethical action are clearly present. The challenge is how to recognise and minimise those risks without at the same time losing the opportunity for beneficial action. The Nuffield Council is currently considering the role it could play in that endeavour, as part of wider consideration of the ethical challenges of conducting research in a global health emergency alongside the many other facets of humanitarian response. Such analysis could also usefully pay attention to other areas of health-related research where the research and practice boundary is blurred. Examples debated at the Oxford conference included the idea of health research as a tool of development; and the concept of ‘learning healthcare systems’ in health systems research. Thoughts and reactions from those similarly challenged by the research/practice divide would be warmly received. This blog explores the Mexico City Policy in the context of health systems research, examining implications for the health systems community. The Mexico City Policy, referred to in the quote above, or Global Gag Rule as it is commonly known, is not new. It is a restriction that previous United State’s governments have placed upon grantees. What is new about the recent iteration of the rule is that it now binds all overseas NGO recipients of “global health assistance furnished by all departments or agencies” (amounting to over US $9 billion) rather than just those who are funded through reproductive health budget lines. Those of us working on gender and sexual and reproductive health have been disheartened by President Trump’s reinstatement (and widening) of the Mexico City Policy which limits new US government overseas grantees from providing abortion, information on abortion, and advocating for safe abortion. It has been unlawful to use US funds for abortion services abroad since 1973. Yet, we know that unsafe abortion accounts for 13% of maternal deaths globally and safe abortion is an integral part of reproductive health and rights. Those NGOs and their sub-grantees, working on sexual and reproductive health and rights in low- and middle-income countries, who receive USAID health assistance are now bound by additional restrictions that mean that they cannot perform abortions, discuss abortion or provide referrals to providers, or actively promote abortion as a method of family planning. 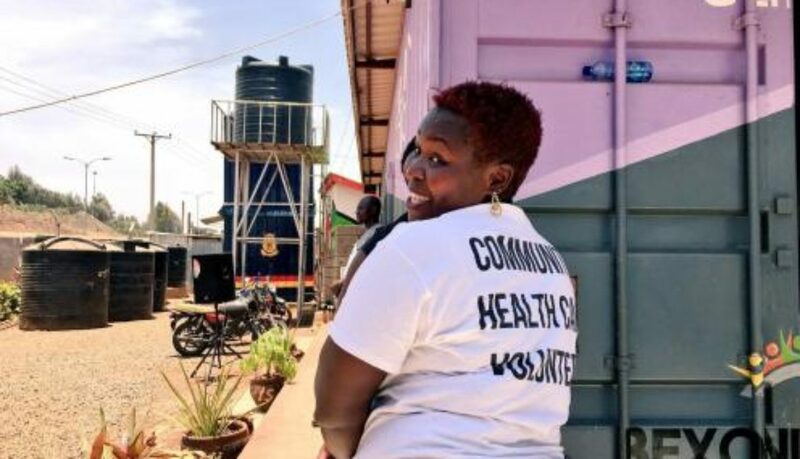 In practice, that means that if an organisation has a USAID grant, for health systems research or non-communicable diseases for example, it can no longer offer safe abortion services or advocate for them even if funded to do so by another government or private foundation. This stands even if the organisation is working in a country where abortion is legal. If the aim is to reduce the number of abortions taking place, then the Policy is a failure. The first quantitative analysis of the impact of the Mexico City Policy (from Bendavid et al.) demonstrated that rates of abortion in African countries where aid was cut the most went from “10.4 per 10,000 woman-years for the period from 1994 to 2001 to 14.5 per 10,000 woman-years for the period from 2001 to 2008”. Rather than reducing the number of abortions that were performed, it led to an increase in unsafe abortion. Unsafe abortion in low- and middle-income settings is often violent, bloody, disabling, and often terminal. In many settings, pregnancy and childbirth can kill you too. Access to contraceptive services and supplies are the answer. Even in countries where abortion is legal, the Policy results in perverse effects. In South Africa, for example, it is easier to get information on – and proceed with – an illegal abortion from an informal provider (widely advertised on street lamps, and other informal media sources), than it is to get official National Department of Health information on, and undergo, a safe, and legal abortion. In countries like Nigeria, where abortion is illegal, informal, unhealthy abortions are routinely undertaken. The advice given to women when undergoing these abortions, alongside their own sense of shame and stigma, means that – even when it is obvious that something has gone wrong – women do not seek help until it is far too late. Illegal, unsafe abortion will always be available to those who feel desperate, and will continue to undermine all the good work being done by governments, NGOs, and research organisations to promote and enhance women’s reproductive health and rights. The ‘chilling effect’ of the Policy leads organisations to stop speaking on a host of sexual and reproductive health and rights issues for fear of defunding/censure. In 2008, the Johns Hopkins-run database, Popline, blocked searches using the word abortion. This was rectified when it was discovered but was believed to be an over-reaction by an administrator who feared government disapproval. There may be other cases of this ‘chilling effect’ that go unreported. This recommendation stands true today. The full extent of the Policy is still currently unknown as guidance on how it should be implemented has not yet been issued. It is important that all scholars who believe in the right to health are vocal on this issue rather than leaving the onus of responsibility on women’s rights activists and those in the sexual and reproductive health sector. As health systems researchers, it is important that we systematically track and research the impact of the Policy and that we are open about its effects on our own work. It has the potential to skew health financing, service delivery, governance, human resources for health, supplies of medicines and medical commodities, and the reliability of health information. As such, it is squarely a health system issue and one that should be of concern to all in our community.